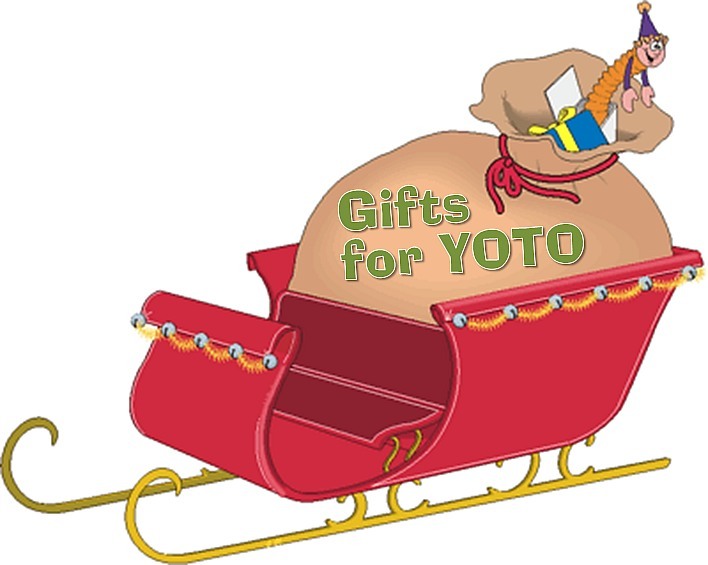 REMEMBER TO BRING your Christmas Gift Bag for a «YOTO» student to help fill the sleigh and make their holiday a bit brighter! Kristyn Connor, Director of Development and Daniel Armenta, Donor Relations Manager from YOTO will be joining us at the luncheon to receive the gift bags and a donation check from the sales of “«The Perfect Wrap».” I am sure they will be overwhelmed with all your donations! If you are attending the luncheon, want to bring a gift and did not get a card for a YOTO student yet and want to pick one up you can get a card from the box on Diane Quinn’s front porch at 2276 E. Skywalker Way «map» or contact her at: «yoto@womenqc.com». The photo book is such an awesome tool to recognize your fellow members. Come photo-ready to the December luncheon and your head-shot will be added to the member photo book of paid members for 2017. To view the photo book, click here: «Photo Book featuring 175 members». Many thanks to those who helped in solving the mystery photos last week. 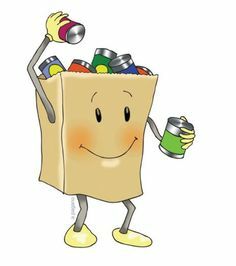 ♦ Help “Stuff the Truck” for donations to the Green Valley/Sahuarita Food Banks on December 17 from 2:00 p.m. to 4:00 p.m. If you would like to help please contact Pam at «stuffthetruck@womenqc.com». ♦ Volunteers are needed to make the Power of Purple a fantastic event. Areas are registration, selling raffle tickets, models, helping the models, gift basket assembly, donations for the gift baskets or anything else you would like to do. 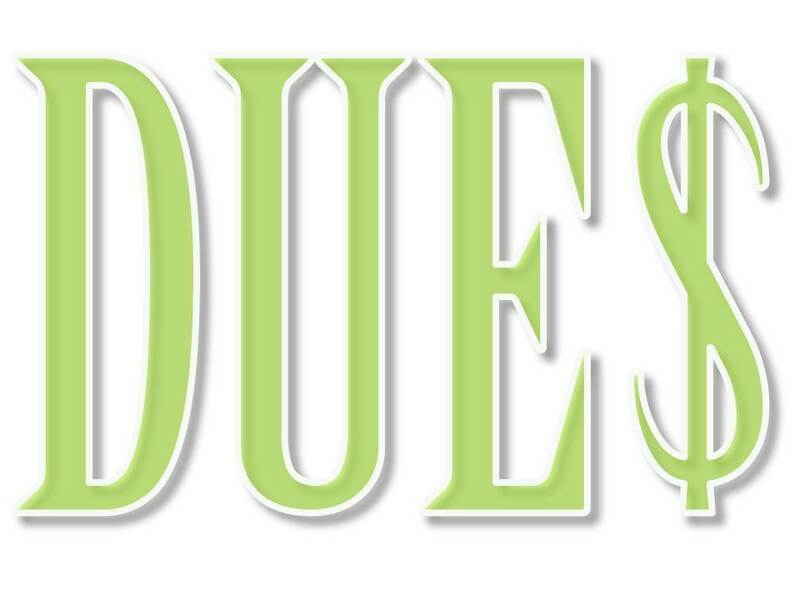 Sign-up sheets will be available at the holiday luncheon or you may contact Carol Shelton by email at «fashionshow@womenqc.com» or call 398-3261 and leave a message. Click this photo to see it all! Members of The Women of Quail Creek were invited to help distribute food and clothing to veterans and their families during the gathering. Thanks to several TWOQC members that were available to help. They feel that they were the ones that received the rewards that day! TWOQC members helped to serve food to the veterans and their families followed by an opportunity for each of the veterans and their families to select from clothing and household items, many of which had been donated by residents of Quail Creek and the Greater Green Valley area during the recent TWOQC clothing drive. It was clear to the volunteers in attendance that the contributions made during the October clothing drive were much needed and greatly appreciated by the veterans and their families. Another big thank you to all who volunteered and donated to support this wonderful contribution for those who fought for our freedom! Hospitalized Veterans — As you prepare for the holidays, please consider the veterans who are hospitalized long-term at the Tucson VA hospital. Some of these patients actually stay in the hospital while others are seen on an outpatient basis after their initial hospitalization. Items on their “wish list” include: baseball and knitted hats, gloves, scarfs, back scratchers, watches, book lights, audio books on CD, AM/FM radios or CD players with headset, puzzle books (including large print), playing cards, and hand held electronic games. 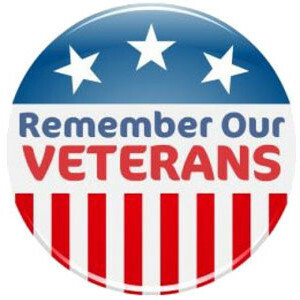 Homeless Vets Program — If you traveled at Thanksgiving time and have some unopened toiletries that you are not going to use, please consider donating them to the homeless veterans. They can also use paper products and plastic utensils for the veterans who walk into their office. Packages may be opened. Christmas is fast approaching and on December 12 at 11:00 am (at the TWOQC holiday luncheon) tickets for the TWOQC Power of Purple luncheon and fashion show will be on sale in the Madera lobby. Tickets are $25. The profits from the Power of Purple event benefit the American Cancer Society Research and Development. We are accepting donations for any items that would be appropriate for the raffle at the Fashion Show, please bring them to the luncheon on the 12th and place them in the back of the ballroom. 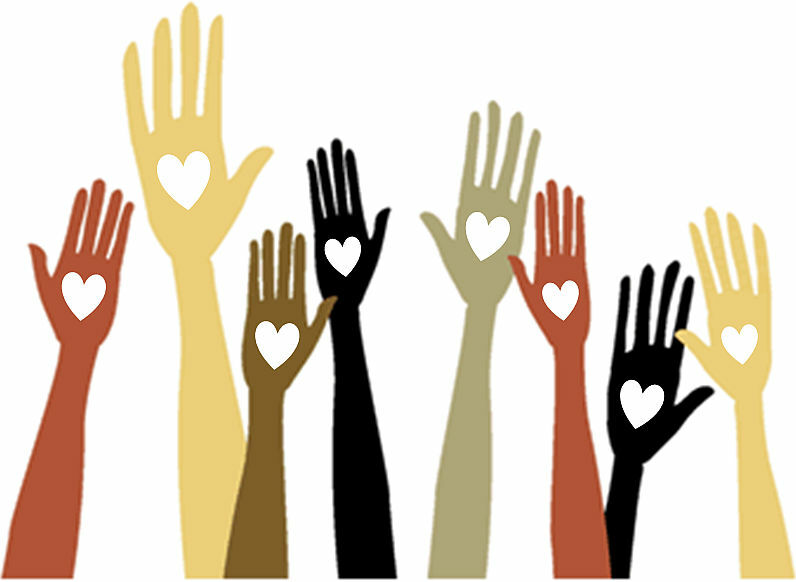 We will have forms ready to list your donations so that we may send you a formal thank-you after the event. There are 22 Christmas songs for you to enjoy in the left sidebar of the website. To access the steps to operating the Music Player, click «HERE». On another note: When viewing TWOQC website from a computer/laptop, you will see “snow” falling through end of the month. The feature is not available if viewing from an alternate device (smartphone, iPad). 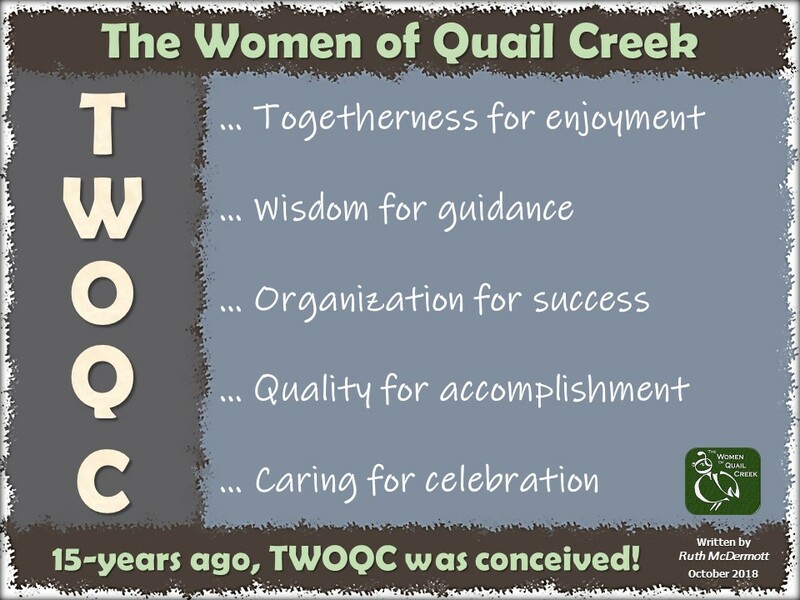 This entry was posted in Announcements and tagged carol mutter president, green valley, quail creek country club, the women of quail creek, twoqc, twoqc facebook. Bookmark the permalink.